An air conditioner unit helps to regulate the temperature of a room during hot weather. Some units even feature a heating element for cold winter days when you don't need to make the room colder than it is outside. If you use your air conditioner's cooling function in the winter, the coils might freeze. If so, you'll want to follow a few guidelines to unfreeze them. When the weather turns cold, it's best to leave the air conditioner off. Air conditioner units have limits to their thermostat settings. The low end of the thermostat dips to approximately 60 degrees Fahrenheit on most units. If the weather outside is colder than that, it makes more sense to open a window to allow the outside air to cool the room than to use the air conditioner to do it. 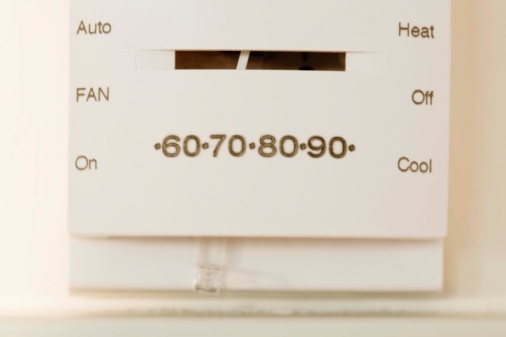 If the weather is warmer than the lowest thermostat setting, press the down directional button on the air conditioner unit's front panel, or on the remote control, to turn the thermostat down. The air conditioner will cool the air until the room's temperature reaches the thermostat setting. 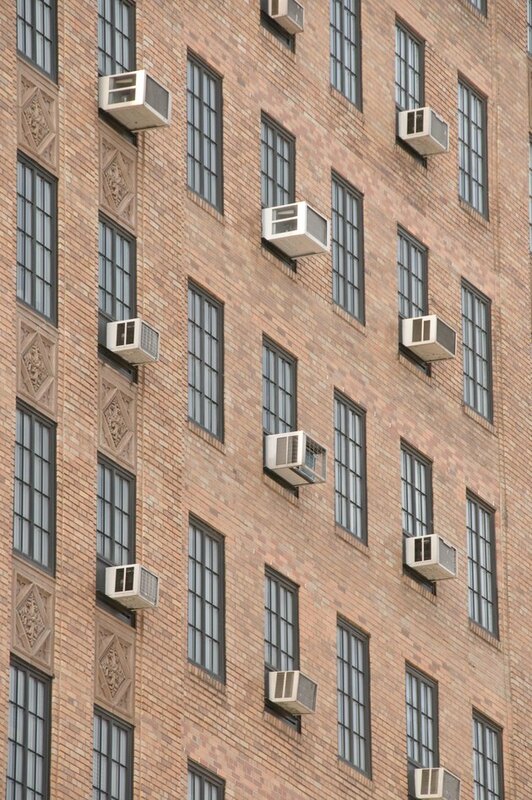 Some air conditioners feature a heat element along with a thermostat that can be set up to 90 degrees Fahrenheit. Turning on the "Heat" feature directs the unit to produce warm air to combat the cold weather outside. To access this feature, press the "Mode" button repeatedly until you reach the "Heat" mode. Set the desired heating temperature on the thermostat by pressing the up directional button until you reach the desired setting. When the weather is very cold outside and you would just like to let some cool air into the room, open the air conditioner vent. Turn on the "Fan Only" function to circulate some of the outside air into the room. The vent allows an opening from the room to the outside through the air conditioner and is used to expel stagnant air from the room and bring in fresh air. If you choose to use the air conditioner to cool a room when the outside temperature is low, any condensation that naturally accumulates on the cooling coil inside the unit can freeze. When the coils freeze over, the air flowing through the unit fails to cool, though you might still feel air blowing through the louvers. Freezing can damage the unit. Allow the unit to defrost by turning it off and leaving it off for several hours, or even days, to allow warm air to flow through the coils and melt the ice. You can check whether the coils are clear by removing the filter and shining a flashlight through the air-exhaust cavity. The coils are usually visible just inside. If the ice doesn't melt quickly enough, you can speed things up by pointing the hot air of a hair dryer at the coils through this opening.